Love is something special, a treasure i want to find... to others, love is blind. 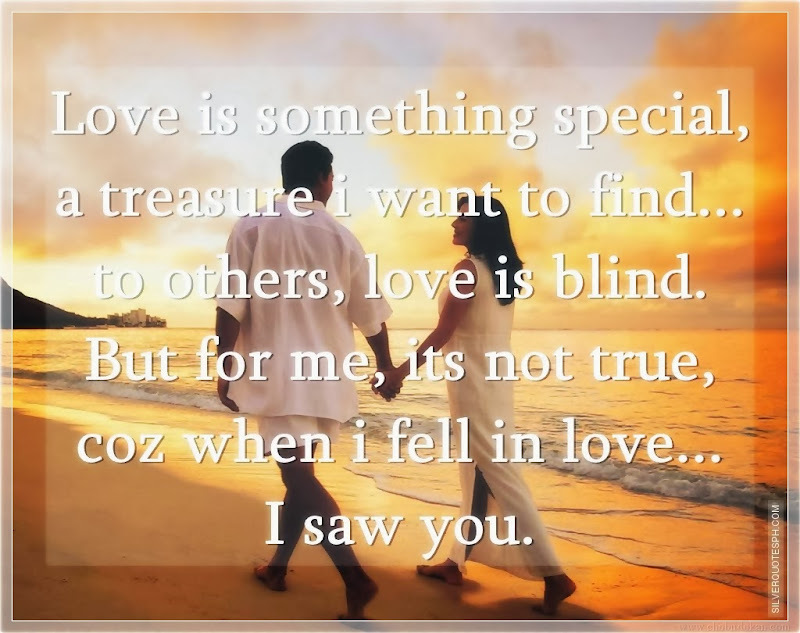 But for me, its not true, coz when i fell in love... I saw you.